onsen soaker: Kurama Onsen, Kyoto City, Kyoto Pref. Paid a visit to Kyoto, most famous ancient city in Japan last week. Maybe I should have forgotten about onsens while staying in Kyoto. There are many interesting temples with long history instead. Anyway I visited four onsens, and the Kurama Onsen, a ryokan or a Japanese inn at north of Kyoto City was one of them. Although there are two fountainheads and cold sulfur springs gush naturally (many onsens in Japan are drilled and pumped up), amount of the gushing is so limited. There is also a small indoor bath. One is only 2.5 liter per minute and the other is 5.8 liter, not enough for filling the baths. Therefore the sulfur spring was water added, heated, filtered, circulated (the water in the bath is reused again and again!) and chlorinated. No wonder I couldn't feel original character of the spring water at all. The biggest problem was too much chlorination. The open-air bath smelled like an over crowded swimming pool at mid summer. I saw many visitors made faces and complained. The small indoor bath (see above photo) was bit better. Location and atmosphere is very nice, and a man working there (maybe a manager) is a friendly, very nice person. If you just want to see and experience a Japanese onsen, I think you can enjoy without disappointment, but this isn't the place for soak addicts like me. Not all onsens in Japan are recommendable, and I should admit unrecommendable onsens are increasing rapidly. Kurama Station.Plum tree was blooming. They accept day visit from 10:00 AM to 9:00 PM (until 8:00 PM in winter), charging ¥1100. Ladies' baths and men's baths are separated. If you pay ¥2500, indoor baths and sauna at main building are also available, including towels and Yukata rental. Overnight stay with dinner and breakfast starts from JPY 15,750 per head. A freee shuttle bus meets every incoming train at the Kurama Station. Or you can walk to the onsen in 15-20 minutes. Eizan Densha from Demachiyanagi Station at central Kyoto takes you to Kurama in about 30 minutes. 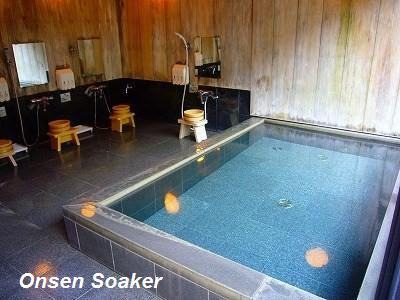 I'm planning to go to that onsen in a few weeks, and may be stay one night there. Do you recommend a better onsen to stay around Kyoto? This is my personal opinion, but Kyoto isn't the place for visiting onsen. There is no onsen I can recommend more than this Kurama Onsen in Kyoto City. In the wider area of Kyoto Prefecture, Yonohana Onsen is most famous. I found two ryokans have English websites. But I haven't stayed none of these, so I don't know if they are recommendable or not. Thanks!! Yunohana onsen seems to be not too far from kyoto. It looks nice. We are thinking to go there. 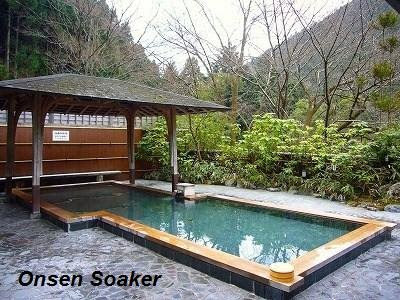 I found the website of Yunohana, but i don't understand if the onsens are all in Ryokan, or is there public onsen also in Yunohana? 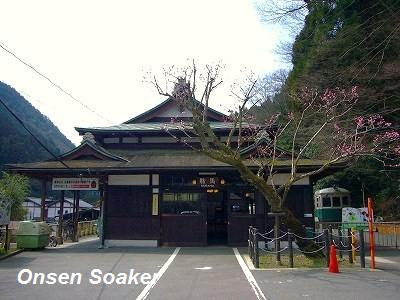 There are seven ryokans at Yunohana Onsen, but there is no public bath there. If you like trains, you can take the Scenic Railway to Kameoka, near Yunohana. If you stay overnight at Yunohana, I think your ryokan provide free shuttele service between Kameoka and the ryokan. Please confirm beforehand. Yunohana Onsen is radium hot springs. It means the water is transparent, no color, no smell, just like usual tap water. If you want to see and feel Onsen, I recommend you to visit Arima Onsen in Kobe City, Hyogo Pref. It's thick sodium hot springs, and its color is brown. There are direct bus services from Osaka. I haven't had time to read any further posts yet, so I'll just ask straight ahead: with this post being almost 2 years old - any recommendations in Kansai? I just visited it yesterday. I didn't notice much chlorination -- I wonder if they change the amount based on the number of quests or other factors? Otherwise, your review is still accurate. Unfairly enough, the men's indoor bath is bigger, and has half of it with air bubbles. Not quite a Jacuzzi, but same idea, and there's a separate cold pool for the sauna. The men's outdoor bath looks to be the same as the one pictured. Perhaps noteworthy is that the indoor bath has a glass wall looking into the forest, and the outdoor bath views are similarly nice with no trace of outside civilization. somewhere with nice scenary and more outdoorsy and natural would be nice.